I put on hold my ladylike dresses over the weekend and I dressed up in my casual uniform which is quite mannish inspired. 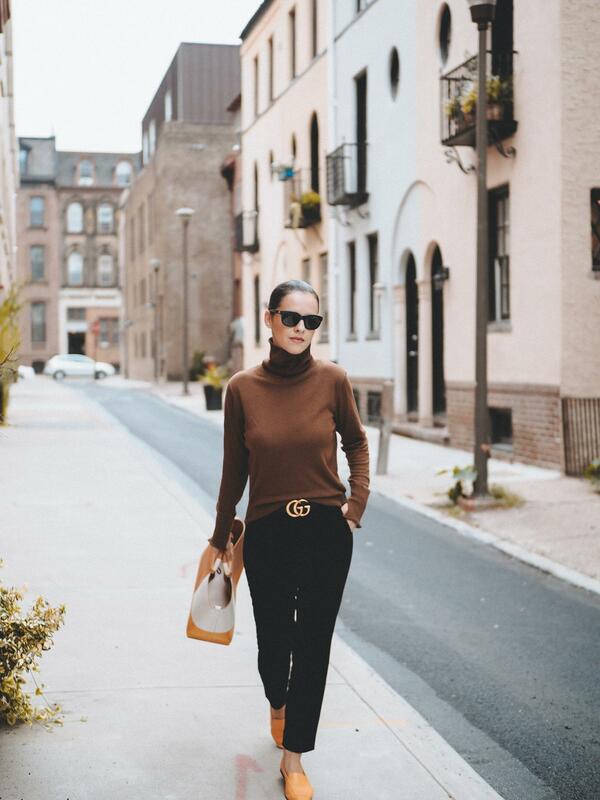 I love this simple outfit and when I am not wearing dresses, for sure you will find me wearing cropped pants or jeans, loafers and a sweater (especially in the Fall season). Turtlenecks season has arrived and from now on you will be seeing me wearing them a lot! Have a wonderful new week everyone!